Vanderpump Rules star Lala Kent has been all over the map this season. Her emotions have been spinning wildly, and not even a swig from her baby bottle can help Lala calm down. Our favorite SUR hostess has been in a dark place since the death of her beloved father. Lala melted down in spectacular fashion at SUR, after Raquel Leviss mentioned Lala’s father. Lala raged at Raquel and Billie Lee. She also saved some choice insults for former friend James Kennedy and let him know how lucky he is to have hooked up with her. Sigh. Best of all, Lala was sporting a dress suspiciously like the green Versace that Jennifer Lopez wore to the Grammys– only not as cool. Remember when Vanderpump Rules star Scheana Marie dated Rob Valletta? Of COURSE, you do because she was clearly obsessed in love with him. I mean, she loved Rob even when she married poor Mike Shay (congrats again on dodging a bullet, Shay). Rob was what we like to call, “the one who got away”. Rob was the perfect guy for Scheana. He had a great house in Los Angeles, a vacation house in Big Bear, a job, and a famous model sister. He could also, say it with me now, HANG A TELEVISION IN SEVEN MINUTES. Scheana timed him, y’all! It doesn’t get much better than that, am I right? Sadly, Scheana and Rob ended their Harlequin Romance due to “tricky schedules”. Or maybe Rob just decided he couldn’t hang with a stage 11 clinger and a bunch of thirtysomething alcoholics with no viable life skills. So whatever happened to Rob? Did he willingly ease back into normal life? Is he suffering from PTSD? If the guy was smart, he voluntarily entered the witness protection program and changed his name. We all know someone who manages to get by in life with doing the minimum. They never show any aspirations, and are content with just hanging around. And sometimes, those people stumble onto a hit TV show and end up having a bar named after them. It’s just that easy folks. This very scenario happened to man child Tom Schwartz. One minute he’s spending his days laying on the couch modeling, and then the next minute he’s on Vanderpump Rules and has a bar named after him. Yes, the same person who had a panic attack when he bartended one shift for Lisa Vanderpump is now her business partner and the other half of TomTom. It can’t be just because of his name can it? Yes, you read that right. And no, I wish I was joking. 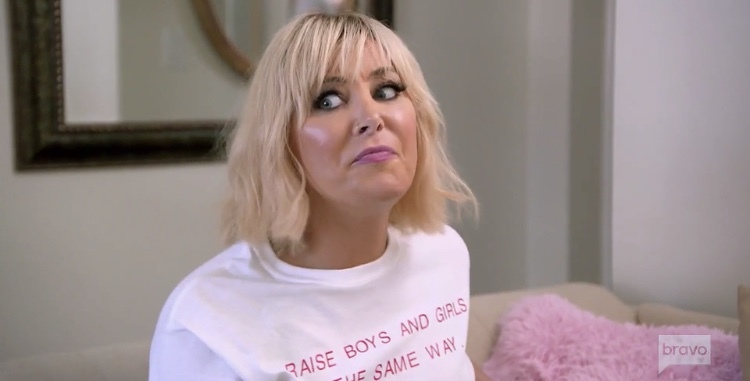 Vanderpump Rules hostess with the mostest, Billie Lee has been struggling to become more of a main character on the show. However, Billie recently shared some information that she had a sexual encounter with a ghost. Now, if THAT had been a storyline on the show it would probably be a first for reality TV. 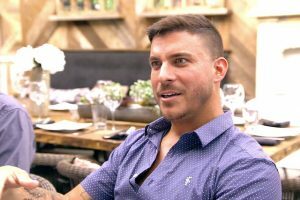 Season 7 of Vanderpump Rules has been all about the (supposedly) improved Jax Taylor. For the most part, he’s been pretty well-behaved. In related news, this is the least interesting season in the show’s history. As much as people love to hate on Jax, he did always bring some premium entertainment. 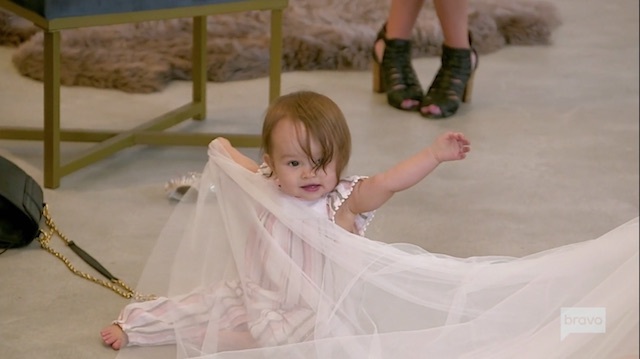 It seemed like Jax was back in his old form during the last episode of Vanderpump Rules. He had a conversation with Brittany Cartwright’s dad and her other male family members about how he’s his own “number one.” Of course, he got majorly slammed by the viewers, and seemingly Brittany’s family during that scene. But wait, did it really go down like that? Or was there some tricky editing at hand? Jax blames the editing. Of course. So who will be next to put a ring on it and start heading down the aisle of permanent togetherness? Even though, Tom 1 and Tom 2 are historically the happiest couple on the show… The Toms do have an idea, but if you ask me it’s more the result of what cast members are left over. Ain’t nobody thinking someone will marry Kristen Doute, like ever. So Stassi, you’re up girlfriend. 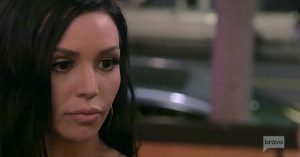 Last night’s Vanderpump Rules was the prequel to the season finale, which means the bulk of the episode was spent finally FINALLY giving Scheana Marie some attention and something to do besides machine gun laughing at her own jokes. Of course Scheana wasted all this prime real estate on Marina del Rey whining about Adam Spott and going on a fake date to make him jealous which obviously backfired like a rusty pickup in a PCH traffic jam! 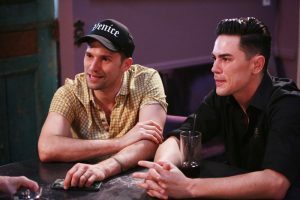 Tonight Vanderpump Rules inches ever farther away from the ridiculous show about drunken bartenders that we fell in love with as we celebrate Jax Taylor and Brittany Cartwright‘s engagement. Luckily Jax is still just as big of an a-hole as ever! With Brittany’s enormous Kentucky family in town to celebrate mashed potatoes their engagement party, Jax constantly feels on the defense and accidentally insults Brittany’s father and brothers. Even though Jax is convinced he’s changed, he’s still deep in the throes of Number One Guy Complex and his delusions all come crashing through the surface when he’s confronted by Brittany’s father and brothers, who still don’t trust him after he cheated last year.